This past Spring, I found myself tramping all over Manhattan with Jeff Joseph. We were in search of something more interesting than an over priced buffet at the Waldorf — I’m sure it was very tasty, but when you’re standing in the middle of Food Mecca (if you’ll pardon the allusion), there’s simply no reason to settle. One, wit doesn’t equal insight. Two, I had to delete #2 because it was crass. Three, audio writers really ought to get out more, and no, I don’t mean “to hear live music”. And lastly, you aren’t going to win an argument with John Atkinson. Fear him and run away. The man will eat you alive. 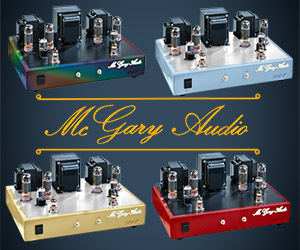 Which brings me to Volti Audio. My introduction to horns at an early age stuck with me. The guys at New England Music Company didn’t just sell me speakers, they taught me why Klipsch speakers were as good as they were. These were my first technical lessons, about modulation distortion, efficiency, dynamics, etc. Most of these lessons came directly from the Klipsch papers “Dope From Hope.” I became a Klipschophile in my teens, and my opinions about which speakers were the best were made during a formative period of my life, so what reason would there be to ever regress to other topologies? LOL. And with all my years sitting behind a sound board and in front of big horn speakers, and having owned Klipsch Khorns for the last 25 years, it has only been recently that I’ve come to realize the merits of other speaker topologies. Still, big horns are what make me smile. I can listen to the highest of high end and think they are very nice sounding, but when I get home and put Boz on the Khorns, the music just makes me smile. So, why do speakers sound different — regardless of the design or compromises made (or lack thereof)? Because they (usually) aren’t designed by robots — or logic, or by an armchair quarterback. A design, like a designer, is a living thing. And if Jeff is right (and in the case of Volti, it sounds like he might be right on), then that thing isn’t immutable. There is no “right” or “best” or “ideal” — there is only, hopefully, a product that any given person may find more and less awesome. So, I feel like I have to confess that I’ve never been a Klischophile. Not really. 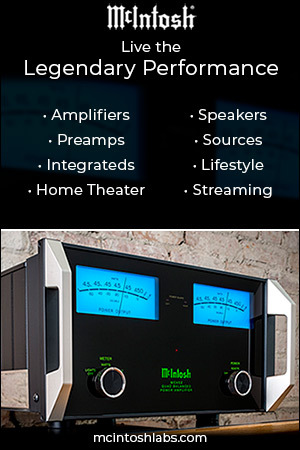 My first audiophile speakers were Klipsch, yes, but not the big Klipsch horns doojabbers. 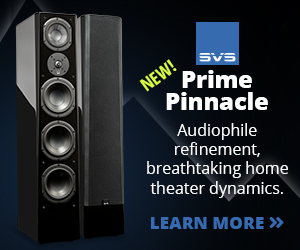 I sid actually buy some of their speakers — these were the first speakers I ever spent my own money on — but for a home theater rig. They were fairly traditional, though, even if the tweeters were horn-loaded. All I knew is that they sounded good. It was only after the fact that I found out how freakin’ loud they played. No, I came to horns late. Like many things. Girls. A decent job. Wife. Kids. I was late with all that stuff. And by the time I found out how cool Klipsch horns were, I also found that there were others doing much cooler things on that design. So, let’s talk about Vittora. 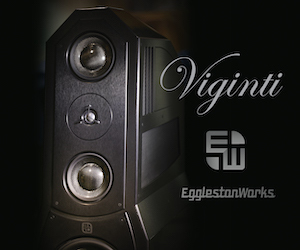 Vittora, Greg Roberts’ current thinking on the whole Klipsch horn thing, is a honkin’ big speaker. 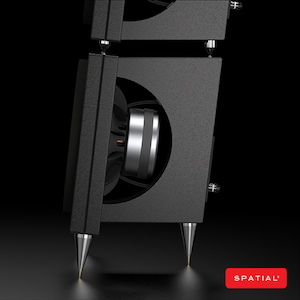 It may not be 10′ tall or have 30 drivers on it, but the speaker is dramatically larger than the majority of floor standing speakers. It has mass. Size. And, because of that, it does sound different from all of them. To me, that difference is a good and welcome thing. In short, these speakers sound great. Current pricing is $12,600 for a pair, up $2,000 from this time last year, and still well below what I would expect the market to bear. And, yes, you’ll be forgiven for thinking “La Scala!” on seeing them for the first time. On closer inspection, you’ll quickly realize that no La Scala, ever, has looked quite this fine. Quite this polished. Quite this well put together. The cabinet work on the Vittora is remarkable, and the graceful curves quite obviously set it apart from the Klipsch you may know and love. 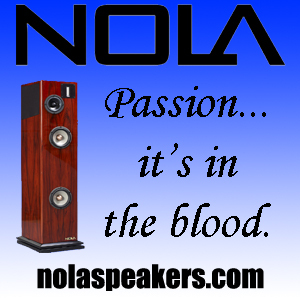 No, here, Greg and team put in approximately 240 hours of work into each pair of speakers and quite frankly, it shows. That said, the spirit of those vintage designs shows through — the speaker cloth and general fitment would look perfectly at home in an episode of Mad Men. Or in one of the demo rooms featuring some vintage and refurbed audio gear, rather than an all-new offering. I can’t stress this enough — the Vittora is a blast from the past. In the best possible sense. I stopped by the room three times over the weekend, once each day, and it wasn’t until Sunday that I actually was able to claim a seat. My, my, aren’t we popular. Hmm! Anyway, Sunday morning was nice and quiet, so I was able to spike the door closed, shoulder a large object in front of it, and just hang out with the big speakers, whip out my own music, and take a goodly listen. 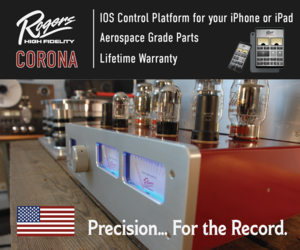 The speakers were matched to the optional $2,400 18″ subwoofer. Get it. Well, I guess you don’t have to use this subwoofer with these speakers, but I’d recommend something be used to get to the lowest registers — the Vittoras just don’t do sub-level bass. Not that they necessarily need to, but I think most folks would be disappointed by the fact that these horns start rolling off around 50Hz — perhaps surprising for a speaker this big. It shouldn’t be, however — this is “real” horn bass, and to get deep bass from horns, you’ll need a big horn. Look at a Pnoe horn, if you wonder what I’m talking about. And while I’m sure the Pnoe is absolutely amazing, it’s over 7′ tall and it’s still only putting out bass down to 42Hz! Deep horn bass in a cabinet that isn’t either cheating, or something with even less WAF than a Pnoe, is pretty much out of the question. So, subwoofers it is. 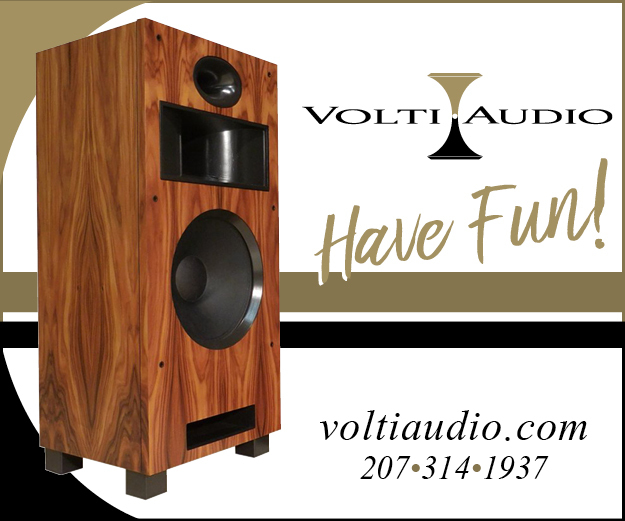 In the case of the Volti subwoofer, you get a design that matches the look-and-feel as well as the fit-and-finish of the main speakers — the cabinet work is quite fine. And 18″ is gonna be monster for bass. Now, this sub is un-powered, so be aware that you’ll need an amp and an external crossover to drive it. Greg recommends a Marchand MB4, a 300wpc, 24dB slope crossover network, for $1,500. I heard that Greg brought a 2a3 amplifier to the show, but I didn’t actually get to hear it, though that would have been cool. I think that low-watt amps are really fun and quite interesting … it’s just that their usefulness, and general sound quality with most of the speakers I’m interested in listening to, is in direct proportion to their output. 2a3 amps, as awesome as they may be, I find pretty much useless. 4wpc? Seriously? But with a horn loudspeaker with a 104dB sensitivity, well, that’s a whole different thing. Maybe. I found, instead, one of Gary Dews’ sweet amps, a Border Patrol S20. 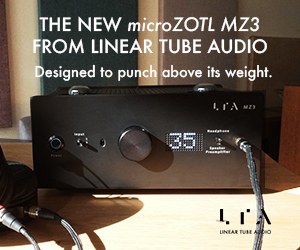 This bad boy is a fully dual-mono, sporting a pair of 300b tubes per channel in a parallel, single-ended design. Total output is 18wpc and will set you back $13,750. If I haven’t mentioned how badly I want one of these, I’ve been remiss. 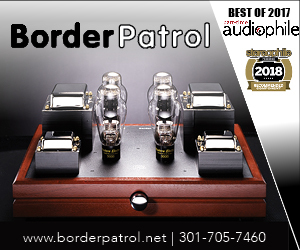 A fuller discussion of Border Patrol is here — this is their second demo/display here at Capital Audiofest. Ming Su of Goto-Unit provided a remarkable turntable from J.C. Verdier, the $15,000 La Platine Verdier. This magnificent beast carried a $16,500 Telos tonearm from Durand and leveraged a $9,000 Sound Smith strain gauge system. 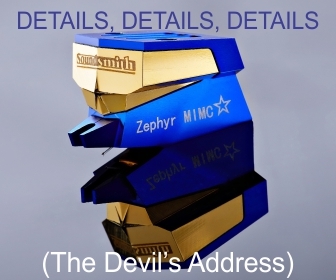 An EMM Labs CDSD SE coupled with a DCC2 SE Digital Control Center, provided the digital path. 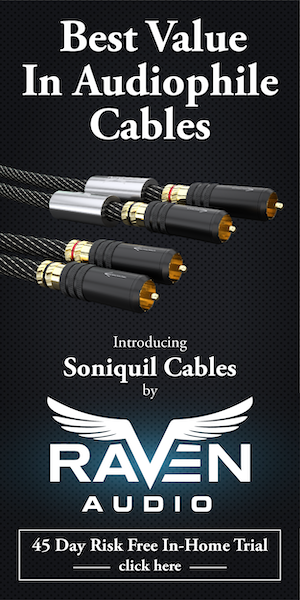 Speaker cables were Greg’s design, a “12ga oxygen-free, stranded, tinned copper, in twisted pair configuration with gold-plated banana ends soldered on”. 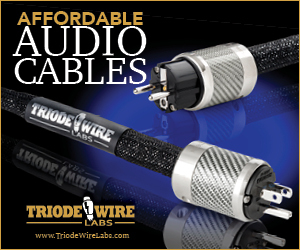 The rest of the cables came from Mojo Audio, and included Lucent copper ribbon interconnects, and a mix of Enigma and XPC-7 power cords. Dr Borden called the bass “billowy”, and it may be that he was right. I do know that horns generally don’t pull off a gut-punch, like more traditional woofers can throw, but I failed to notice any unwanted “unbearable lightness of being”. You’d be surprised at how much info that you think of as bass really isn’t happening “way down there” — and the Vittoras are doing quite a job with the “everything else”. So, if you’re a small arrangement, Diana Krall kind of audiophile, subwoofers are pretty much irrelevant. Want to rock out to Led Zeppelin … and pretty much the same applies. If you’re into house or hip hop or pop, well, you’re probably not reading this anyway. But if you do like to branch out, you’ll probably run out of gas without the subs. Case in point — my Chris Jones CD, Roadhouses and Automobiles has a track called “No Sanctuary Here” where the mid-bass can blend into the deep bass with some rather eerie and ominous rumblies. 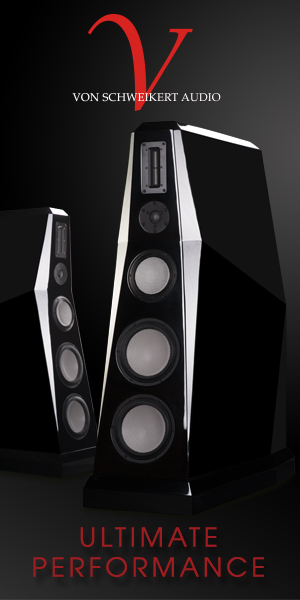 Big speakers do great with this — Rockport Aviors kill this tune. But the Vittoras kinda loafed along — right up until the sub was kicked in. 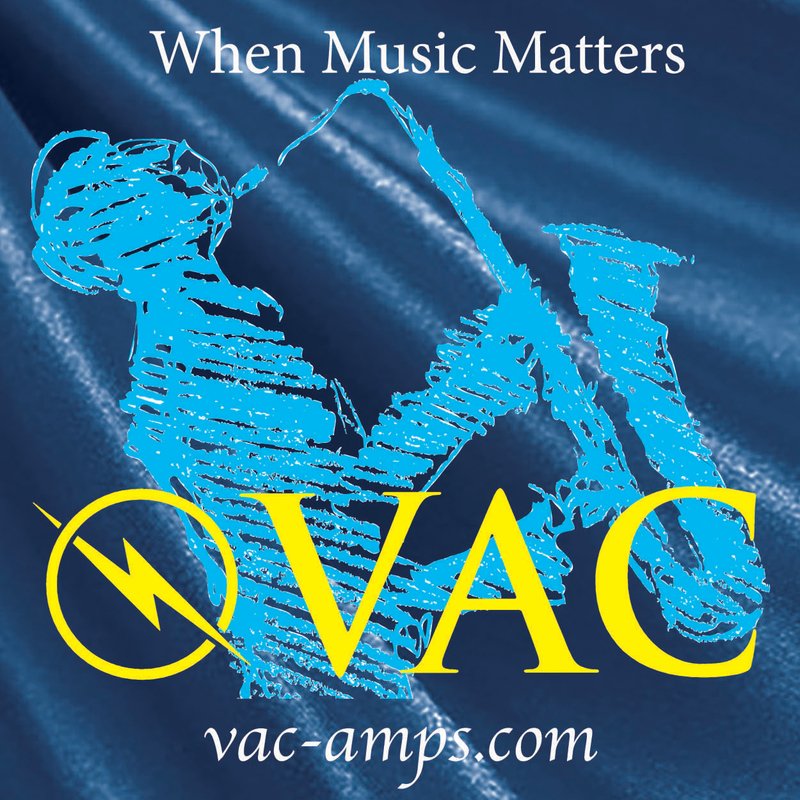 So, fine, deep bass isn’t their strength (that is, without a sub — with the Volti sub, this is a total non-issue), so lets move on to something that is — the “everything else”. Another case in point — I queued up another track off my Chris Jones CD, this time going for my resolution tester, “Roadhouses and Automobiles”. I’ve mentioned before that this track has a pretty clever post-processing trick — crickets. 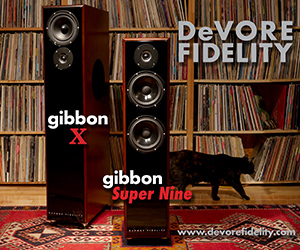 They’re everywhere — but they’re 10db (or more) down into the mix. On many (most) speakers, this little bit o’ fun is completely lost and I’ve actually lost track of them entirely by simply changing preamps and cables in an otherwise fine sounding system. But when everything is “just so”, these little buggers (har har) are everywhere in the sound stage. With the Vittoras, playing this track, I was suddenly outside at dusk. Which was a shock because my watch was telling me it was 10am on a Sunday. Very cool! And probably the best resolution that I’ve heard, outside of an Accuton-enabled speaker. More generally, everything hung really well, voices were present and resolute, and images were stable, clear, and the whole was extraordinarily musical. What faults there might have been were hard to attribute — was the bass “billowy” or was that the room? Or the long-wall setup? Or the fact that the seats were right up on the rear wall? Or that the speakers were so far apart and I wasn’t so far back? Impossible to say. 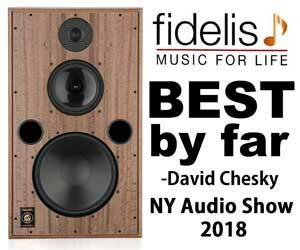 But I will say this: there just aren’t that many high-sensitivity speakers on the market that are this good, this sensitive, this good-looking, and this well made — at anywhere near this price. Greg has a seductive and compelling package here, and I for one am not only a fan — if I had the money and the space, I’d be a customer too. Beautiful, retro, and delightful — Volti is a brand I’m keeping my eye on. I’m loving what Greg’s done so far — and I can’t wait to see what he comes up with next.